As the weather starts to cool, don't sacrifice your style while waiting for school pick ups or on the sporting sidelines, instead invest in a variety of outwear to survive the season. Here are five key outerwear shapes every Mum should have in her winter wardrobe and what to look for when making your next purchase. 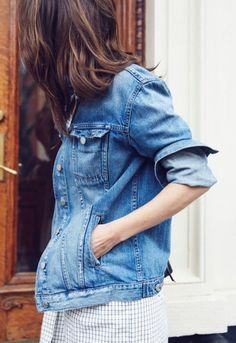 The perfect item for trans-seasonal dressing, the denim jacket never goes out of style. The sightly fitted silhouette complements all body types but as they come in a variety of lengths, ensure you find the right hemline for you. The classic colour, faded blue, is the perfect wardrobe addition to dress up your basics or alternatively, give your dressier items a casual feel. With all things athleisure being chic, the bomber jacket is back in fashion. 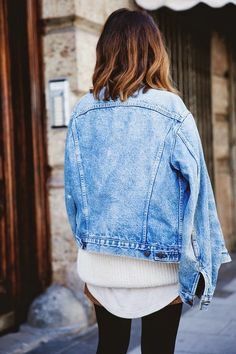 It creates an effortless sporty edge and is a great alternative to a denim jacket, instantly make an outfit look more casual. The traditional bomber silhouette is oversized, so correct fit is important, especially around your shoulders. 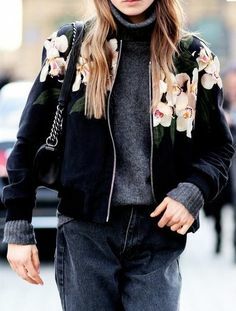 The bomber jacket is this seasons must have item, from embroidered florals or aviator inspired shapes, there will be one to suit your unique personal style. A silhouette that never goes out of style, the utilitarian design of a military jacket adds an effortlessly cool look to your wardrobe staples. The most flattering styles have drawcords at the waist and slimmer sleeves that visually create shape when wearing winter layers. 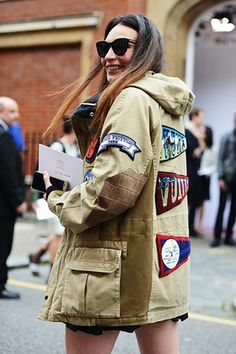 The customary colour, khaki or olive green, compliments both bright and neutral colours making the military anorak easy to wear in all seasons. 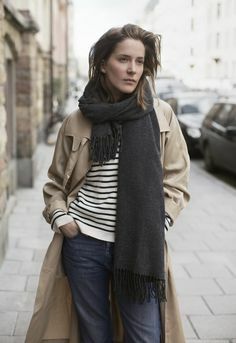 Originally developed as an army coat, the trench coat has evolved into a chic yet practical coat for women. It works in almost any climate, is comfortable and transitions easily from day to night. 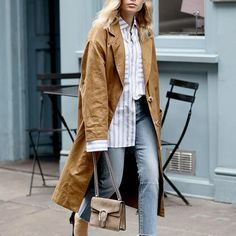 When investing in a trench it’s important to choose a button style that flatters your frame and check the fit, especially around your shoulders. 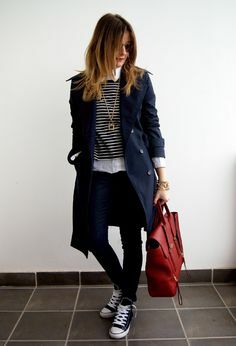 A classic beige trench is chic but also consider a brighter colour, think red or cobalt blue, that works across all seasons. Although the puffer jacket has a reputation for being more functional than flattering, it doesn’t need to be the case. To avoid overwhelming your frame, look for slimline styles with diamond or chevron shaped stitches that will visually slim and elongate your body. 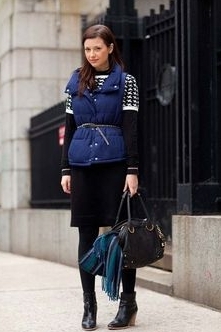 The puffer jacket comes in a variety of lengths, so consider your height and buy a hemline to suit your portions. 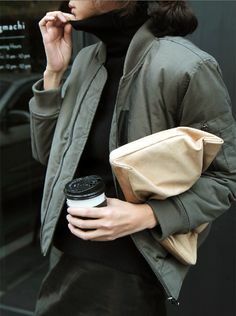 With the puffer jacket becoming more popular, the colour choices are too, so it will be easy to buy one that enhances your natural complexion instead of conventional black.